It’s strange isn’t it, you don’t hear a whole lot about MySpace anymore! I thought, hmm…. is it just that I’m getting older? Maybe. But then just like you, I created a Facebook profile and started to connect to family and friends. It wasn’t until I started seeing my younger nieces and nephews on Facebook that it all became clear to me – I now know exactly why MySpace is either dying, or is official dead! It wasn’t but a few years ago when I’d the younger generations of my family on the computer and talking with, and meeting, friends on MySpace. And let me tell you, they were really into MySpace! They would even talk about what they did, who they saw or met, and who they were chatting with on MySpace when they weren’t even on the computer. But now, today, I see the exact same family members that were jamming on MySpace, they are now all over Facebook! And from looks of their profiles, they are induldging themselves even moreso on Facebook than they did on MySpace. So it occurred to me, when I saw these younger generation family members on Facebook, that I think I now know why MySpace is dead! And it’s because this generation, the upper classmen and women in highschool, have abandoned MySpace for Facebook. Why did they leave MySpace for Facebook? I’m not quite sure. But I can guarantee you this – the next time I see them I will be sure to ask. My guess is that the answer is actually quite simple – because Facebook is where everyone else is, so they mine as well join them! People sometimes don’t know “why” they do something. And my family members more than likely didn’t give it a second thought and haven’t even thought it about since they left MySpace. But someone like me, someone who tries to understand the paradigms of social networks and crowd source mentalities on the web, I’m can’t help but be intrigued by these types of changes. So the next time you see someone who is a teenager, more then likely they were MySpace fanatics a couple of years ago. But now, you might find that they’ve embraced Facebook. And when you see this, and if you’re thinking about it, how about asking them why they left MySpace for Facebook – and then post your answers in the comments below! Hi Henner – interesting comments. I never heard of studivz, which might explain why it never got off the ground. But yeah, MySpace is, I believe, disappearing into the archives of the web and may only be found in the history books! Yes, I agree that MySpace has become old news and Facebook has taken over as THE place to be! I can’t even remember the last time I logged into my facebook account. I think one reason facebook has become so much more popular than myspace is because of the ease of interaction. It’s so much easier to share content (photos, videos, URLs, comments, etc) on facebook than on myspace. Also, facebook is so much “cleaner” looking than myspace … definitely doesn’t look as trashy as myspace sometimes can … and I’m not just talking about people’s profile pics, but also the ads that you see on facebook compared to the advertising on myspace. Hi Ben – those are great points. I think the web of "today" is all about sharing, ease of connecting among one another, and feeling safe and secure within your niche communities. Facebook has done a great job at all of the above, while MySpace is, well…. 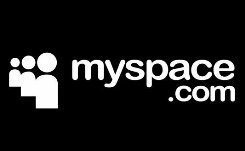 MySpace – and thus the mass exodus! myspace killed itself when they started pushing too many ads. not that hard to grasp. I agree, Myspace killed itself by way of ads. For a long time, I clung to Myspace for the simple fact that I could edit the way my profile looked, but then they destroyed that by attempting to make it “easier.” They just made it more complicated, or, even if it is easier, it’s different, and people don’t like that. I think the time they lost everyone was when they changed the profile layouts. The one thing Myspace still has over Facebook is the artistic/musical community. Listening to your favorite band’s songs is easier on Myspace. i left Myspace for Facebook because Myspace was getting more lame everyday. It got to the point where I didnt see anyone on there anymore. So I got a Facebook. Plus, all the Notifications and Myspace changes too much. Its too difficult to understang nowadays. Your grammar is poor. It should be “written terribly” as opposed to “terribly written”.